Ah, how I love traditional artwork! It always impresses me how someone can make something so cool all while not having the ability to CTRL Z any mistakes. That takes some great talent! News my friends, get it all after the break. BronyCAN's Final Event Announcements For the Event This Weekend! BronyCAN's Final Press release for their convention on the 25th - 27th of August has been released, covering everything that you can expect at the event from guests to charity all in one big post. Below the break, get all of it! 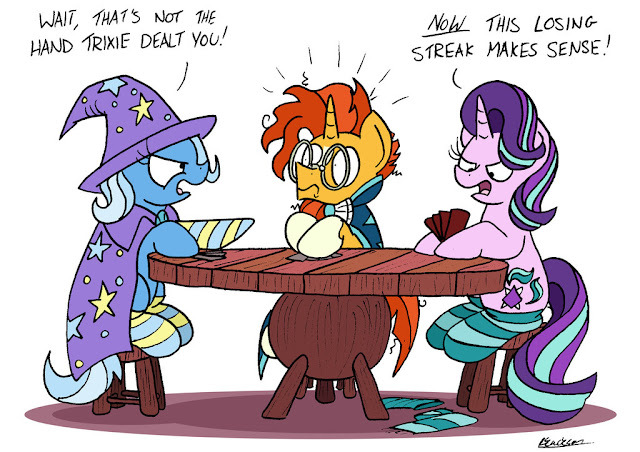 Strip poker doesn't really make a lot of sense when you're ponies. Putting clothes on is quite optional in Equestria. Oh well, whatever is fun, right? The My Little Pony Movie Facebook page released a short clip showing off Rarity's Pirate transformation if you haven't seen it already. She's definitely up there on dat style, as expected. 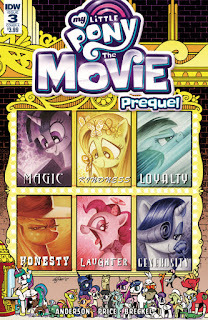 The My Little Pony Movie Friendship Festival set has started making it's way to Target stores. This is the one we posted a while back with all the ponies in the image above in new brushable style. And joining that, a bunch of backpacks with the MLP Movie style are popping up with school starting. Thanks to Duel Monster for the heads up. Happy birthday whoever has a birthday today! 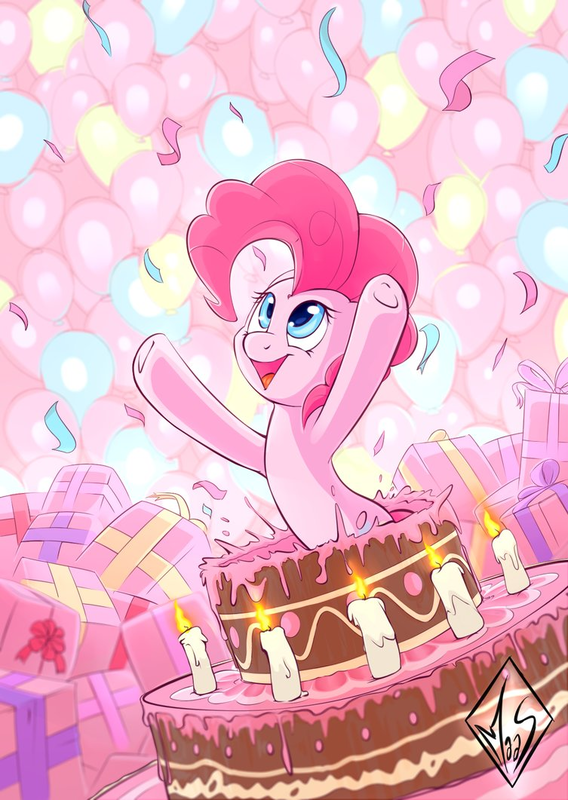 Enjoy a Pinkie Pie, and get a bunch of art down below! Having not done a whole lot of music releasing recently, iblank2apples is on fire with his third solo release in a short period of time! 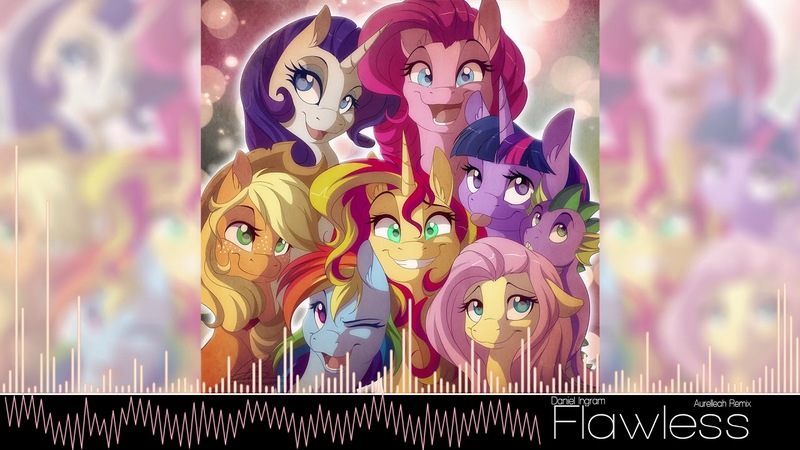 This one has some classic electro chord sounds, excellent use of Fluttershy vocals and the progressions are just fabulous. We've also got a new track from spooky pink pony robot producer PVNK, which adds some fun story elements to an aggressive dubstep track full of killer sound design. Check them both below for some awesome stuff! That banner might be hitting below the belt, but let's be fair. She gets to interact with ponies on a daily basis. Viva variety! 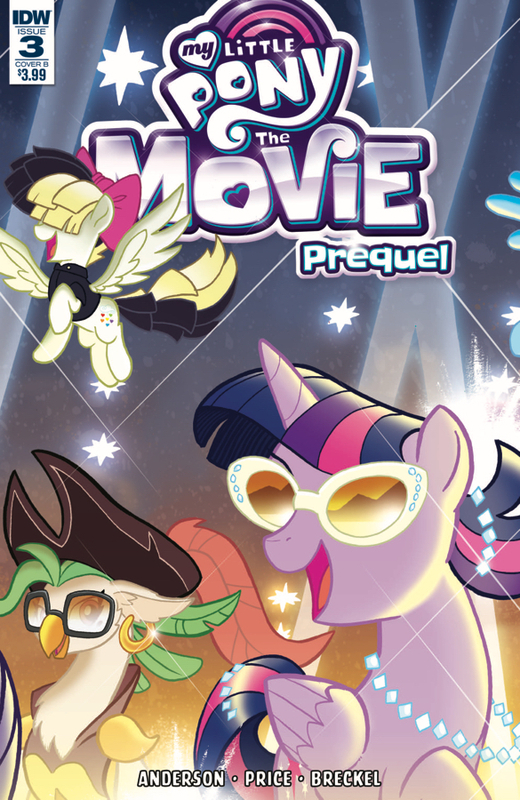 Less than two months away from the movie's premiere. But we still have characters with backstories to share. Let's see what happens in this issue. Check out the review after the break, but watch out. This is a one-way ticket to spoilers! Description: Five private heavens have gone horribly wrong, leaving behind five little ponies just trying to find a way out. Discussion: "Ponies IRL" - Has a FiM lesson changed you? Last time, we discussed and revealed our flaws. I wanted to let you know that these flaws aren't necessarily bad things but instead challenges. We face challenges every day whether presented to us by our environs or by our very personality. Challenges are meant to be overcome and with the right set of tools, such as knowledge and the right frame of mind we can not only overcome these challenges but exploit them as an opportunity to gain something. 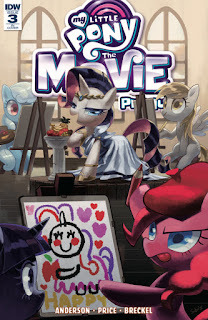 Since MLP has the lessons and morals to change one's knowledge and frame of mind, have you found that is has changed you and helped you overcome a challenge? Please share with us below! 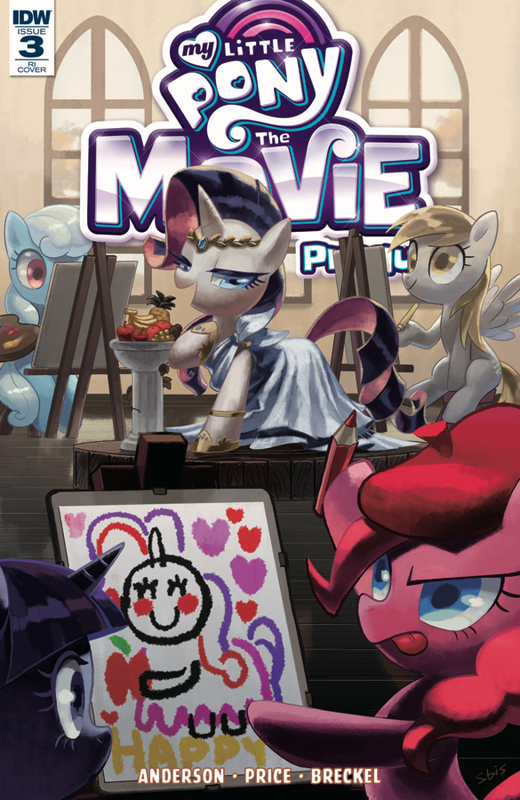 Pretty sure those aren't supposed to be used in that manner, Rarity. Though whatever floats your boat! Top comic is a bit suggestive! Fair warning. 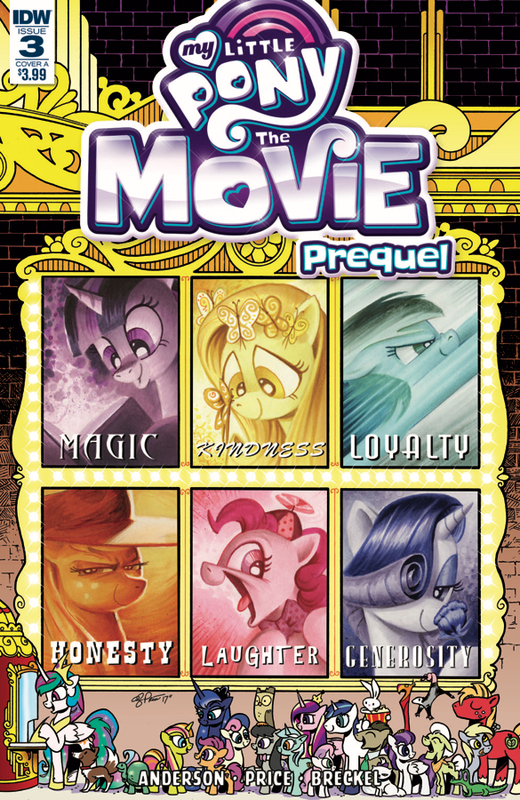 My Little Pony: The Movie Prequel Trade Paperback Early Release Scheduled for August 29th! I never get tired of look at that cover! 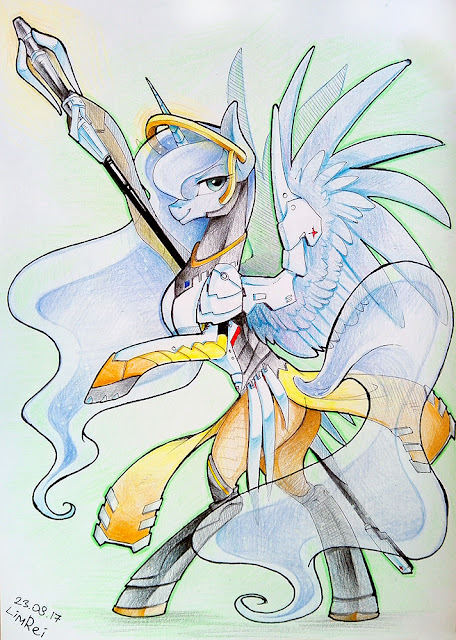 Tony Fleecs Really outdid himself! Anyways, Amazon.com is reporting that the Trade Paperback Collection of the My Little Pony: The Movie Prequel Comic Series will be released on August 29th, which is one day before it is released in comic shops, and exactly one week before the fourth individual issue of the series is released on September 6th. The Digital Release of the trade paperback is currently scheduled for September 27th. So if you want to know what happens in issue 4 and stay current with the discussions which are bound to happen starting on Tuesday, your best bet is to pick up a copy of the Trade Paperback. Another remix of the recent song! Aurelleah has put his own spin on it, with an orchestral-flavoured intro building into a house-y electro drop which works pretty great with the vocals. The break seamlessly switches back to a softer tone, before bringing it up again for the second half. Check it out below! Nothing like waking up to a good meal after a nice long sleep! These two may have their differences, but they really do love each other. 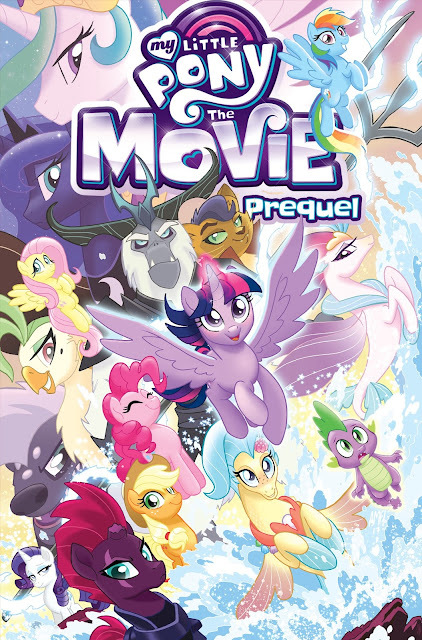 My Little Pony: The Movie Prequel #3 Released Today! - Download Links, Variants, Discussion! "Are you blind when you're born? Can you see in the dark?" Streets are made of cheese… or at least I hope so. Especially for the sake of the protagonists of this issue. Much easier to live on the streets when you can actually eat the streets. Or something like that. Why am I now picturing Discord literally eating pavement? Anyways, there's a new Prequel comic out for My Little Pony: The Movie! So are what's in store for the cats who have been the connecting threads of the story thus far? Well, you'll have to check out the usual links after the break to find out! Ever been so exhausted that even after a good rest you still feel tired? I'm certainly feeling that right now, hopefully another night's rest takes care of it. But even though I'm tired you guys are still pulling through with the ATG! Quite a few of you drew pics showing you being exhausted after doing so many prompts but yet still managed to submit all the same. Hang in there guys, we're nearing the end and you've done so well! Tonight we managed yet another 100 ponies bringing us up to an impressive 3519 ponies so far! Sometimes in life we feel like the world is against us and there is nothing we can do, but somehow we manage to pull through and things turn out better than expected. So tonight's theme I'd like you guys to Draw a pony beating the odds / Draw a pony doing the unexpected. As usual you can find our submitter here. Remember, our compiler is up a few hours even after this post goes up so feel free to submit your submission even though this post is up! Check on after the break for our full gallery!